The Internet is a weird place, isn’t it? On one hand, you can find numerous trolls being absolute jerks for no reason, and on the other hand, you can find great people making everyone’s day just a little better. Today, we have an excellent example of people making others’ lives a little bit better – with cute animals! After one 2channel user started a thread asking to see others’ pets as he was feeling “hurt,” cute animal photos soon flooded in. We’re not sure why this guy wasn’t feeling that great, but we have a feeling that all these animal photos probably went a long way to helping him get through the day. So, if you’re having a rough day, we hope these adorable faces will help you too! While it won’t solve all our problems, there certainly are some days where a little “pet therapy” is just what the doctor ordered! And with all these cute fuzzy faces to look at, we think we have enough pet therapy to help us get over watching these tear-jerk videos. ▼ Here’s another adorable kitty to make the anonymous poster feel better. ▼ We imagine those eyes could cure a lot of ailments! 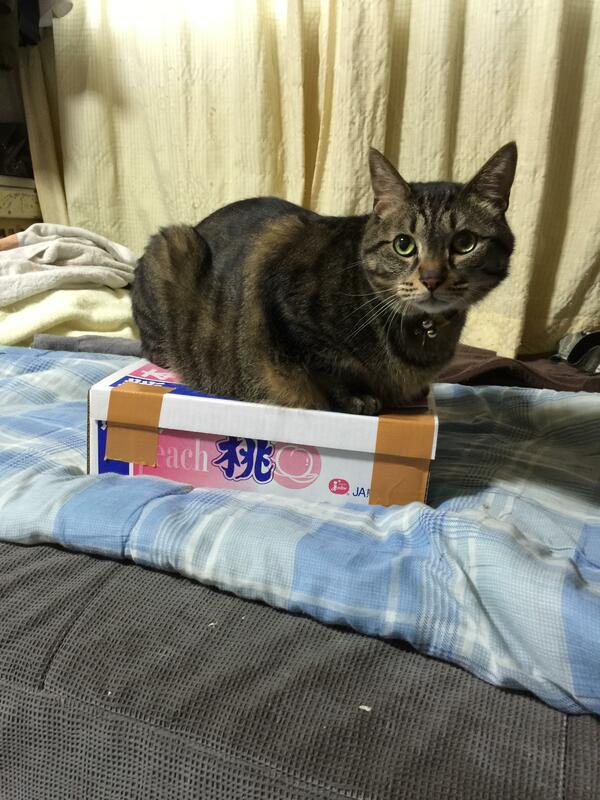 ▼ Somehow cats on boxes are even cuter than cats in boxes. ▼ What an adorable pair! Our last two pet photos aren’t exactly cute in the traditional sense, but we do have to say that they are surprisingly pretty! Even if you’ve never though of any insects besides butterflies as being “pretty,” we have to say this Phalacrognathus muelleri beetle (commonly known as a rainbow stag beetle) is quite a sight! While we hope you weren’t needing a pick-me-up today, if you were, we hope this helped! And if not, who can complain about cute, fuzzy faces, right? Loki the “vampire kitty” is an Instagram star, and we think she’s just fangtastic! Toddler goes for an adorable dog walk but the question is: who’s walking who?